Best things to do if you manage to spend one day in Lucca, Italy. A walking and biking itinerary to discover Lucca in one day (even though spending 2 days in Lucca would give you a much better opportunity to enjoy this lovely town). Use the enclosed Lucca Map to optimize your Lucca in one day tour. Lucca is an unmissable destination in Tuscany and one day is the minimum amount of time you should dedicate to its visit. Despite is relatively small site, its city center hosts amazing monuments and sights, dating from Roman age to renaissance. But what makes Lucca really unique are its Renaissance-era city walls that have remained intact while so many other Tuscan towns saw theirs destroyed in past centuries. Since Lucca isn’t a hilltop village, it is ideal for anyone with mobility issues as well as for families with kids. Lucca is surrounded entirely by 16th century walls. Built between the first half of the sixteenth and mid seventeenth century the Walls of Lucca are intact until today. In the 19th century, trees were planted and now the ramparts can be walked or cycled. Composed of twelve embanked hangings, which link eleven bastions, with brick vestments twelve metres high and wide thirty at the base, they develop for more than four kilometres, and their age-old trees (plane trees, horse chestnuts, hackberry, red oak, etc. ..), make the Walls a large and beautiful urban park and a privileged approach to the city and its territory. You can rent a bike at Punto Bici, close to the city Info Center inside the city walls (it’s a convenient place to start your tour, so you can get a city map before starting) or, if you arrive by train, directly at the railway station Tourist Center. You won’t need more than one hour to complete the city walls tours. However, consider taht you will find many places to stop, relax and make pictures along your way, so don’t be too tight on your schedule! San Michele Church is in the large square that was originally the Roman Forum in the center of Lucca. It’s a beatiful square, lined with medieval buildings housing cafes, shops, and homes. The beautiful marble church, built from the 11th through 14th centuries, has a large Romanesque facade. It’s topped with a large statue of the archangel San Michele, or Saint Michael. The facade of San Michele in Foro is probably the most photographed church in Lucca. If it looks tacked on, it’s because they spent all the money on it, and didn’t have enough left to raise the church as high as the facade. The columns in the facade are all different, and the archangel crowning the church features retractable wings to survive high winds. While moving from an attraction to another, enjoy the lively and pituresque old city center streets. There you’ll find all kinds of shops, from food and wine to clothing and household items. The streets are mainly pedestrian and almost always full of people having a good time. Located in via Fillungo, one of the main shopping streets, is the Torre delle Ore, “clock tower”. It’s a medieval tower, less famous than the Guinigi tower, but still very interesting. You can climb it as well. Piazza dell’ Anfiteatro is one of Lucca landmarks, nearly as famous as its walls. It’s an oval shaped piazza, that was once a Roman amphitheater. Buildings and houses were built around the arena during the middle ages.Parts of the original oval ground-plan and outer ring of second-century construction can still be seen. The lively piazza is ringed with shops, cafes, and restaurants both inside and out. San Frediano’s facade is decorated with a stunning 13th century Byzantine-style mosaic. Made mostly with gold leaf mosaic that glow beautifully in the sunlight, there’s also a little color to make the apostles and Christ stand out. The church was originally built in the 6th century but remodeled in the 12th. Inside is a Romanesque baptismal font. There are also several good art works and frescoes and the mummified body of Santa Zita. Another famous landmark in Lucca, mostly due to the oak tree growing out of the top of this beautiful medieval tower. Climb the 130 stairs to the top for fantastic views of Lucca. Lucca’s cathedral, dedicated to San Martino or Saint Martin, sits on Piazza San Martino surrounded by impressive medieval buildings. Originally build in the 12th to 13th centuries, it’s Romanesque in style and has an intricately decorated marble facade. Next to the cathedral is its tall 13th century bell tower and Casa dell’Opera del Duomo, a typical medieval house of Lucca. The interior is Gothic and holds good artworks, including the Volto Santo and the 15th century tomb Ilaria del Carretto, a masterpiece by Jacopo della Quercia. I strongly suggest the lovely Trattoria Rusticanella for excellent traditional recipes at competitive prices. Reserve in advance, especially if you plan to eat outside! If you have a car, the Hotel Villa Cheli, located in a gentle countryside 10 minutes from Lucca, is just perfect. It’s an old country house, recently renovated, with a huge park and a nice swimming pool (where younger travelers may relax after tons of churches!). I found room prices very reasonable. Villa Cheli is also very conveniently located to visit Pisa, just 20 minutes away by car. 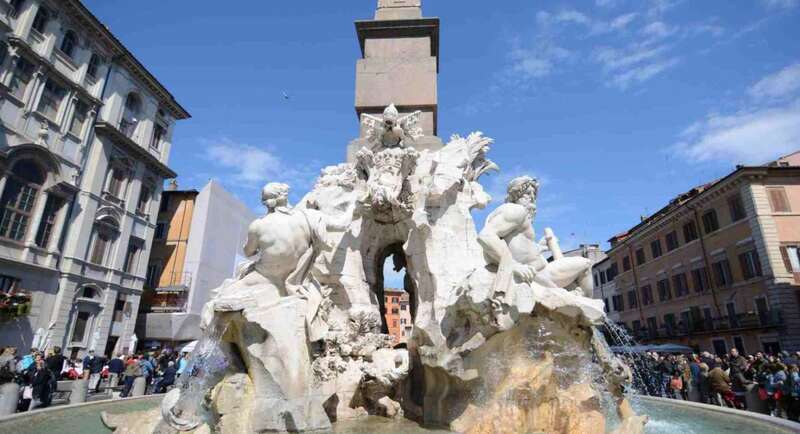 Enjoy Lucca in one day! Lucca can provide you with all kind of great experiences! Click here to check your many options, from guided tours to shopping, food experiences and more! Amazing photos…..Love, love, love Lucca!